Golfers are teaming with the Ara Parseghian Medical Research Foundation and the University of Notre Dame to find a treatment or cure for Niemann-Pick Type C (NPC) disease, a rare and fatal neurodegenerative disease that primarily strikes children before and during adolescence. Proceeds raised from the Parseghian Classic golf fundraiser at Pebble Beach Resorts on June 22-24 will fund NPC research at Notre Dame and other institutions. 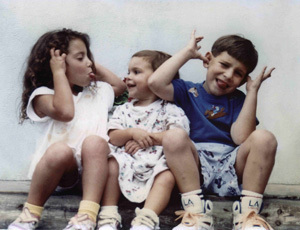 “Notre Dame researchers are at the forefront of NPC research and their advances in the understanding of this disease give hope to all NPC children and their families,” says Cindy Parseghian, who co-founded the Ara Parseghian Medical Research Foundation just two months after three of her four children were diagnosed with NPC. 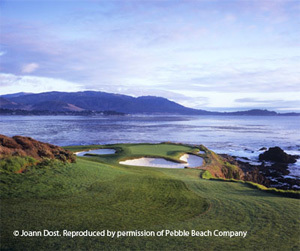 Pebble Beach Resorts, one of the premier golf resorts of the world, has hosted numerous world-class tournaments, including the U.S. Open championship for five years, which it will again host in 2019. Golfers in the Parseghian Classic will play a round of golf at The Links at Spanish Bay and another at the Pebble Beach Golf Links. The all-inclusive event opens with a reception and dinner at Indian Village and closes with a reception and dinner at the Beach Club. Through the Michael, Marcia and Christa Parseghian Endowment for Excellence at Notre Dame, NPC researchers at the University and other U.S. institutions collaborate with NPC researchers, parents and clinicians in Australia, Germany, Switzerland, Brazil, France and Canada to bring together expertise in molecular biology, drug discovery, cell biology and neurology, with results from clinical studies. Some physicians and parents are pursuing cyclodextrin, a compound that has been shown to help move cholesterol out of lysosomes in NPC patients. In 2010, Notre Dame and the Ara Parseghian Medical Research Foundation formed a partnership to accelerate research in NPC disease. Greg Crawford, dean of the College of Science at Notre Dame, and his wife, Renate, brought national attention to the cause with the 2010 bicycle ride Desert to Dome from Tucson to Notre Dame, and again in 2011 with the Road to Discovery bicycle ride from Boston to Dallas. This summer, the couple will embark upon another cross-country ride that will end at Pebble Beach, Calif., in time for the Parseghian Classic. Golfers and non-golfers are still invited to support NPC research by joining the Parseghian Classic; online registration is open through April 13 (Friday). More information on the Parseghian Classic and NPC research is available at neimannpick.nd.edu. Originally published by Marissa Gebhard at newsinfo.nd.edu on March 09, 2012.